Staring Into the Abyss (Kraken Press) is NOW OUT! I’m excited to announce that my second short story collection, Staring Into the Abyss (Kraken Press) is now OUT! It’s a collection of 20 neo-noir stories that lean towards horror, and some of my best work to date, I think. It has some of my favorite stories: “Stillness” which was in Shivers VI (Cemetery Dance) with Stephen King and Peter Straub, “Twenty Reasons to Stay and One to Leave” which was nominated for a Pushcart Prize over at Metazen, “Maker of Flight” which won a contest at ChiZine, and “Victimized” one of my longest stories ever. What are people saying? Here are some blurbs and reviews to help you figure out if this is a collection that you’d enjoy. Thanks for the support! —Lisa Morton, Bram Stoker Award-winning author of Monsters in L.A.
“Richard Thomas has given us a collection of gut-wrenching tales about love, hatred, discovery, loss, pain, and elation…If you enjoy short stories with bite, and aren’t intimidated by plots that might disturb the peaceful fabric of your psyche, then read this book. OUT SOON! At the World Horror Convention on March 29th. Very excited. My story “Rudy Jenkins Buries His Fears” is in here. 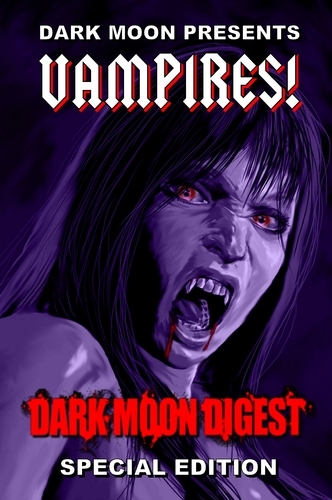 I’m thrilled to announce that my twist on the classic vampire tale, “Transmogrify” is now available in a new anthology from Dark Moon Books. They’ve done a few themed issues, such as ghosts and zombies, so of course, vampires is up next. 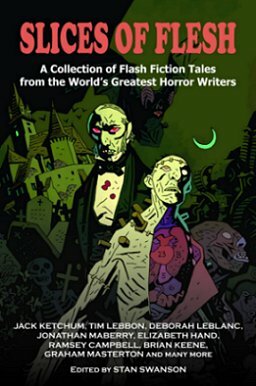 They’re doing great things over at DMB, and I’ll have another story coming out with them in a really cool flash fiction collection called Slices of Flesh, which will have some big names in it, like Jack Ketchum, Ramsay Campbell, and many more. Here’s more about this book, as well as a tables of contents. I’m familiar with C.W. LaSart and Kenneth W. Cain, who are really excellent dark fiction authors. SYNOPSIS: It’s true that few of us would choose the life of a zombie, mindlessly consuming every moving thing in sight as we rot and shrivel with decay. It’s also true that few of us would choose to become a ghost, dolefully watching the comings and goings of the living, unable to touch, to breathe, to feel them in a physical way. But, if given the chance to become a vampire, I think most of us would bite. Vampires make our pulses quicken: whether they are the velveteen figures of Anne Rice or Bram Stoker, or the violent monsters of Stephen King, we don’t care. Not the hunters. Not the hopefuls. The real, blood-drinking, neck-biting fiends. Vampires are timeless because they are immortal. And the vampires in these pages may just come back to bite you in the end. These are stories you can really sink your teeth into. Promise.